There is something strange going on here. Nestled between the two front seats of this massive SUV is a six-speed manual shifter, and sure enough a clutch to go along with it can be found next to the brake pedal. By all accounts, it’s the real deal. Once on the road, the feeling of disorientation continues as the revs of the vocal V-8 engine climb and we fling the car into a turn, discovering it has the poise and control of a super sedan not half its size. Yes, it’s a strange world we live in – one in which outright performance need not be limited to ground-hugging sports cars and Galilean Physics no longer hold true. 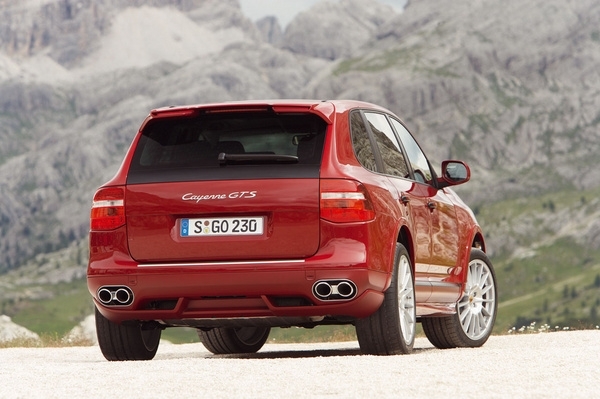 The Cayenne GTS represents the pinnacle of full-fat, butter-not-margarine engineering. Not as plush as the Cayenne Turbo or Turbo S, it’s a bit like the GT3 of SUVs, the purest, most focused brute on the block – but a big boy nonetheless. Features unique to the GTS include aerodynamic tweaks, a shorter final drive, sports exhaust, massive front cooling ducts and 21-inch rims. So while it certainly has plenty of street presence, unlike most, it backs this up with plenty of raw performance as well. 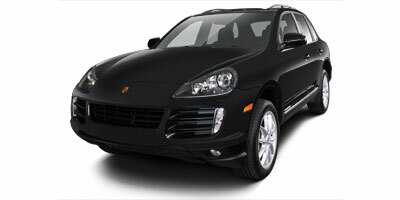 The Cayenne GTS is a great hulking land monster that offers little in the way of utility and a lot in the way of sport. It’s an absolute blast to drive, and the engine offers up a V-8 soundtrack with a purity of purpose few can match. Porsche quality is renowned the world over and is apparent throughout the GTS, from the tactility of the gearshift to the damping of the adjustable PASM suspension. In the somewhat young world of super-utes, fuel economy is a topic best avoided. 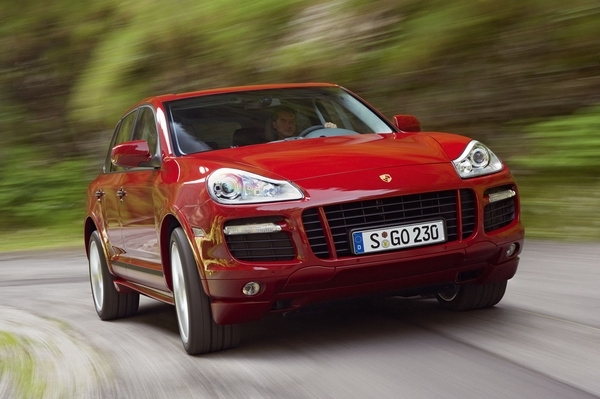 And in the Cayenne GTS, it’s best forgotten entirely thanks to a dismal highway figure of just 17 mpg. Anyone who has ever glanced at a Porsche options list knows just how quickly the bottom line can skyrocket into the stratosphere. Case in point: floor mats will set you back $140, Porsche Crest headrests $285. Sliding into the grippy sports seats of the Cayenne, you immediately realize this is an SUV unlike any other. Click the key over and once the engine grabs, there’s a metallic, raspy thud from the V-8, and at full-throttle this thing makes so much noise one could only logically assume it’s come here with the sole intent of running Alaska’s North Slope dry all on its own. Flat out, it will do 157 mph – quite impressive when you consider it has the aerodynamics of a small pottery shed. And if you’re not driving it flat-out, you’re not doing it right. 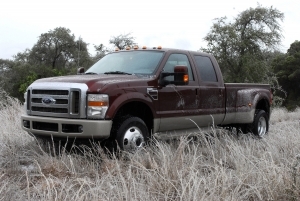 The ease and ferocity with which this behemoth picks up speed practically goads you into driving on the limit. Grip is mind-alteringly prodigious thanks to the massive amounts of rubber attached to the 21-inch wheels, and the Cayenne simply is not willing to put a foot wrong. Variable ratio power steering is available and manages not to dilute the experience noticeably. 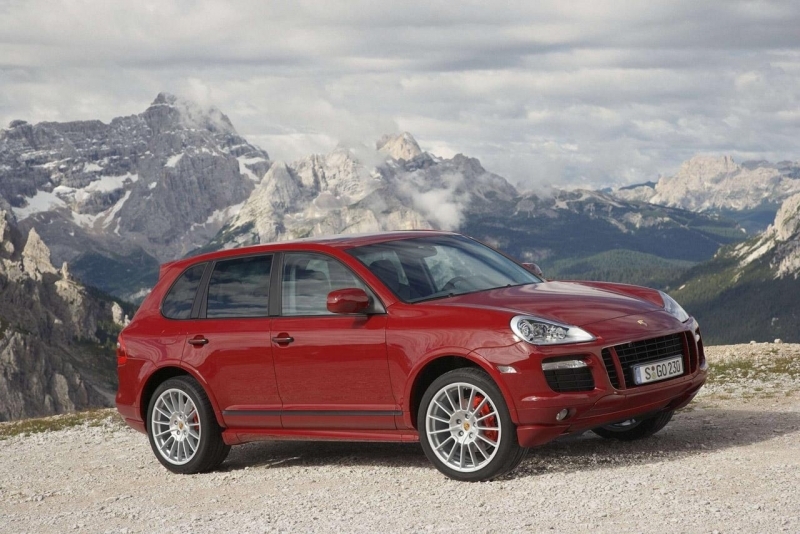 The Cayenne GTS gets a dry-sumped 4.8-liter V-8 engine that pumps out 405 horsepower and 369 lb-ft of torque. Power is driven to all four wheels via either a six-speed manual gearbox or a six-speed automatic. Sidestep the clutch on the manual and the Cayenne will see off 60 mph in a brief 5.7 seconds. Porsche Active Suspension Management (PASM) comes standard on the GTS and, in addition to lowering the car’s ride height by 20 mm, offers three selectable suspension modes: Comfort, Normal and Sport. In Comfort and Normal modes, the suspension remains compliant and soaks up bumps in the road, but in Sport mode, it stiffens significantly, minimizing body pitch and roll for improved handling. The system has the added feature of learning from driver inputs, so if you push hard in Normal mode it will stiffen the suspension. On the other side of the coin, it can soften up Sport mode if you’ve decided to give the throttle, brakes and tires a breather. With over 3.5 inches of travel in the air suspension, the Cayenne GTS can be raised for increased clearance during off-road excursions, lowered for loading, trimmed out for improved high-speed aerodynamics and anything situation in between. A 13-speaker Bose premium sound system is on offer for audiophiles, and those who often find themselves shuttling children around may want to opt for the rear seat entertainment system that embeds DVD screens in the backs of the front seats’ headrests. At 11 mpg city, 17 mpg highway, you might as well tap this thing directly into the Alyeska pipeline. The automatic improves things slightly with 13 mpg city, 18 mpg highway, but let’s face facts – it was a bit of a downhill battle all the way. 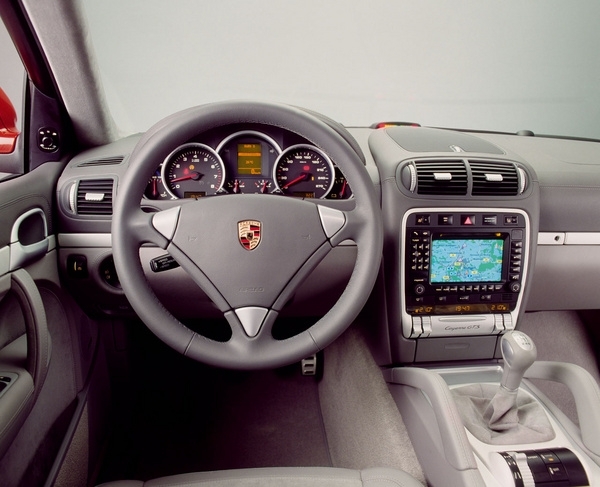 While Porsche may traditionally be a sports car builder, vehicles from the iconic Stuttgart brand have always been associated with luxurious (if relatively utilitarian) interiors. The Cayenne GTS carries on this tradition with sticky sports seats and driver controls placed to ergonomic perfection, backed up by a quality-ridden interior with few superfluous styling cues. With its standard 21-inch Cayenne Sport rims, the GTS stands out on the road like an NBA player in a room full of jockeys. An aggressive fascia hints at the potential beneath the hood, as do the four tailpipes poking out of the rear bodywork and two-tier rear roof wing. With an MSRP of $71,600, the Cayenne GTS comes in at a premium of $10,600 over the standard Cayenne S. Thanks to the super-ute fad of the last few years, there are plenty of competitors in this segment, including the Mercedes-Benz ML63 AMG 4Matic ($90,100), BMW X6 xDrive50i ($66,650), Range Rover Sport Supercharged ($71,825) and Infiniti FX50 AWD ($58,400). BMW will soon be debuting its X5M and X6M as well. It might be a glaring exercise in the unnecessary, but the Porsche Cayenne GTS is nevertheless an impressive engineering achievement. The revs climb in an inertia-free fashion, the engine note has a motorsports purity about it and the spry nimbleness with which it can be thrown into a turn simply scrambles any physical benchmarks you may have been clinging to. While it might be atypical, it is definitely pure Porsche.